The compact 4x4 set for all seasons. 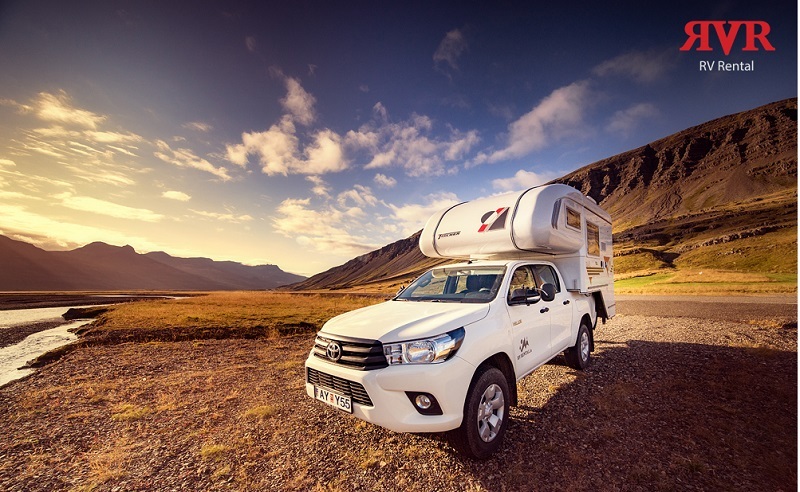 For the perfect Iceland vacation you can rent one of our 4 star Tischer Trail 220 cabins carried by a Toyota Hilux 4x4 Double Cab pickup truck. 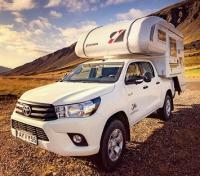 These powerful vehicles are suitable for driving in the highlands, cruise the Ring-road and the west-fjords, allowing you to explore all places of interest in full comfort. Cars are model 2017-2018. 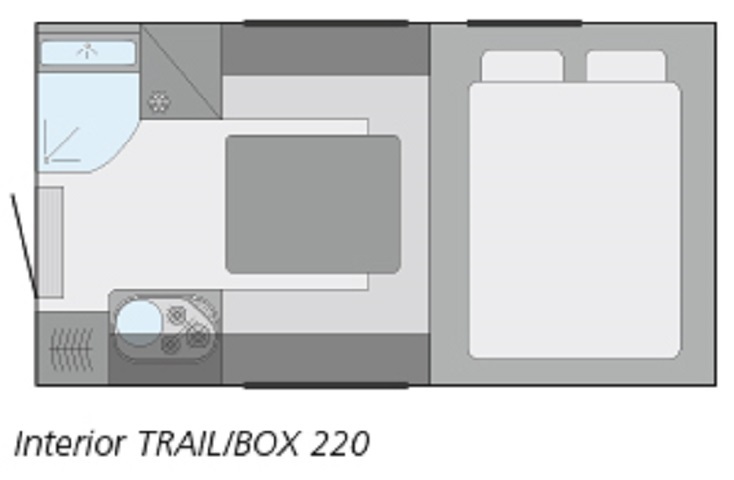 The "220" is our smallest camper which includes toilet/wash room and perfect for 2 adults or a family of 3. 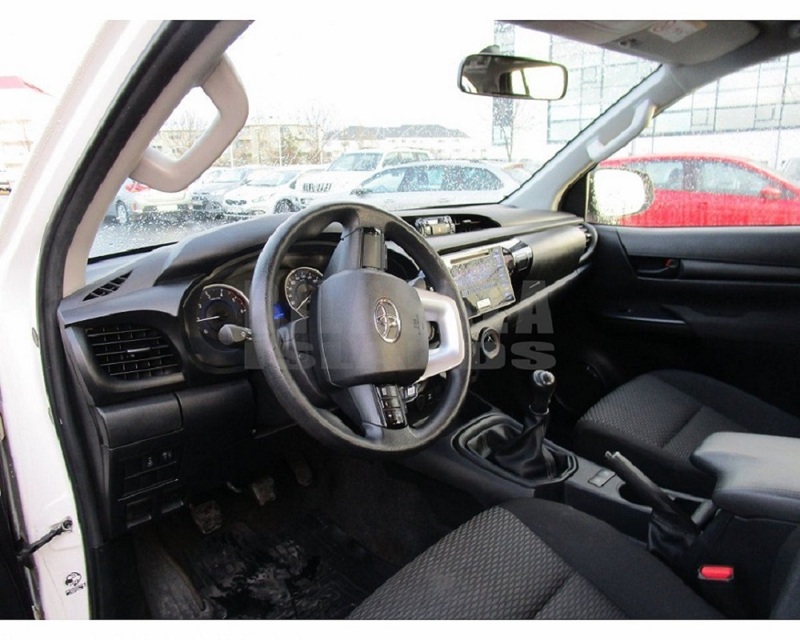 You simply cannot find more reliable set of 4x4 vehicles for traveling in Iceland; Powerful diesel engine with manual transmission and electronic 4WD adjustments for easy handling. 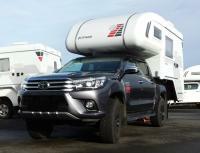 The campers are the fantastic German made Trail 220 by "Tischer", only available at RV-Rental. They may cost a bit more, but they are fully worth it - simply no comparison. Fabulous top-quality cabins, made for Iceland´s extreme weather conditions. Upper bed with comfortable Froly Star sleeping system and warm air supply. 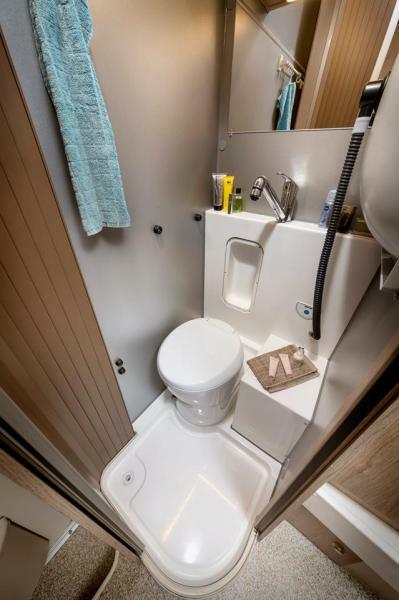 Washroom with casette toilet and foldaway sink. Included in the rental fee is full kitchen and chemicals for toilet. Bed covers, pillows, linen and towels are available along with lot of extras at booking. 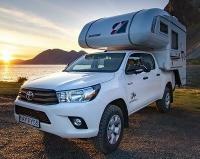 The electrical system in the camper is 12V only and there is no power on the 220V outlets inside the camper except through shorepower at a camp site or by using an inverter available as an extra at booking. Cabin heat is generated by a gas heater and adjustable thermo switch is located inside the facilities. You can also enjoy a fully equiped kitchen and toilet with warm water for washing and shower. 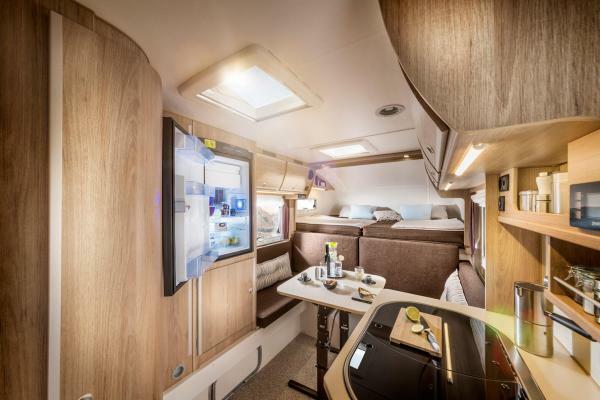 Available extras, ordered at booking: Extra driver, bed/linen set, bath towel, child seats, gravel protection, DC/AC inverter 120W, wifi, camping chairs, table, ground mat, tent (for two), sleeping bags and hotel shuttle. Please note: We do not allow smoking in our vehicles or campers.